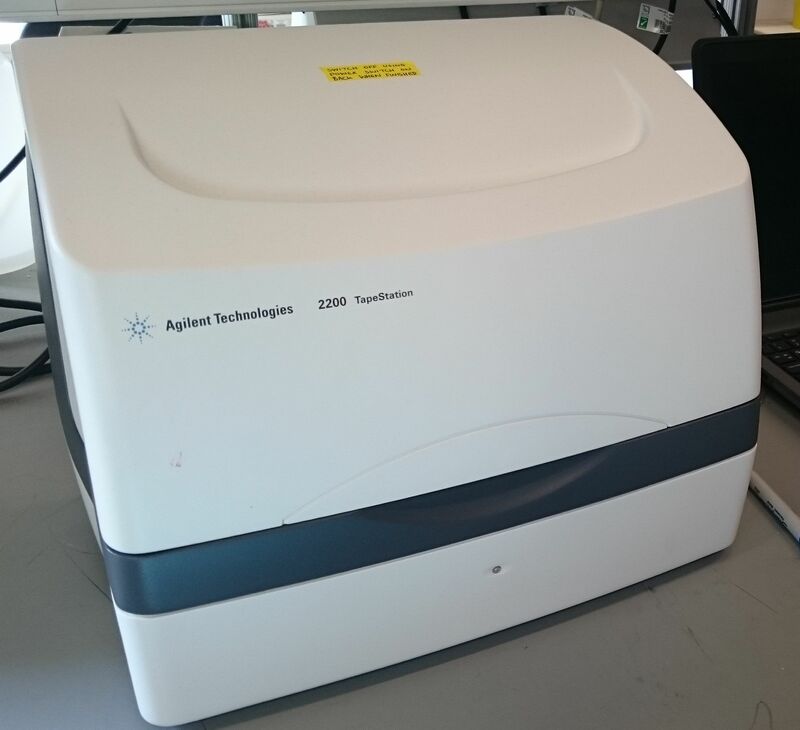 Bioanalyzer instrument for sizing, quantitation and quality control of DNA, RNA, proteins and cells. 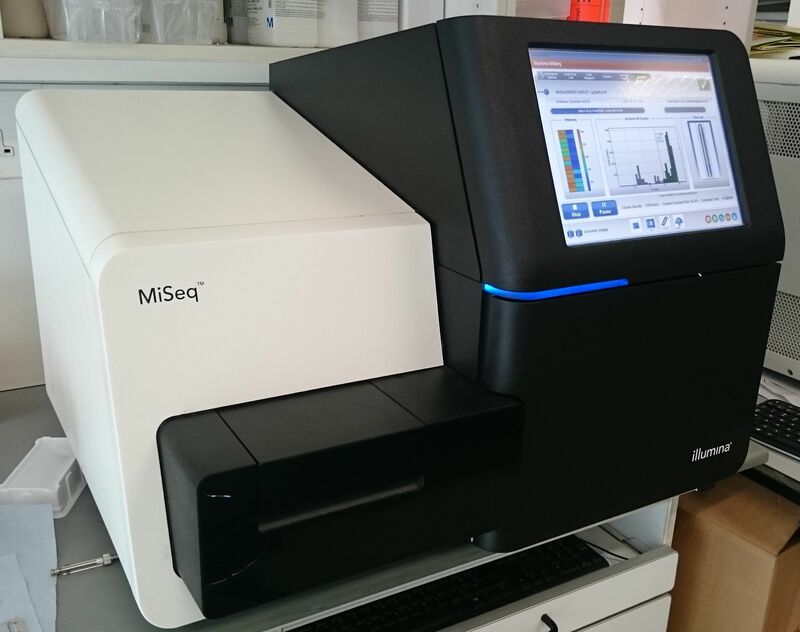 An automated RNA, DNA and Protein QC system. 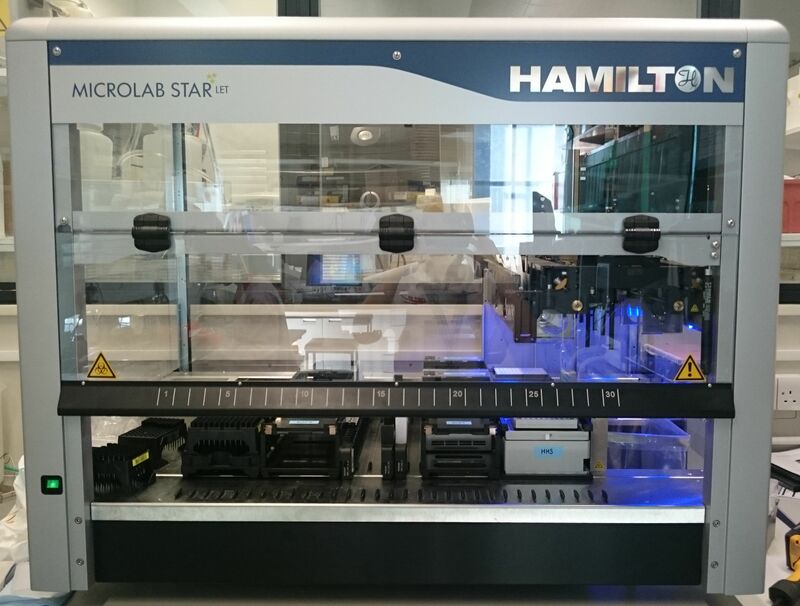 An 8-channel liquid handling robot. 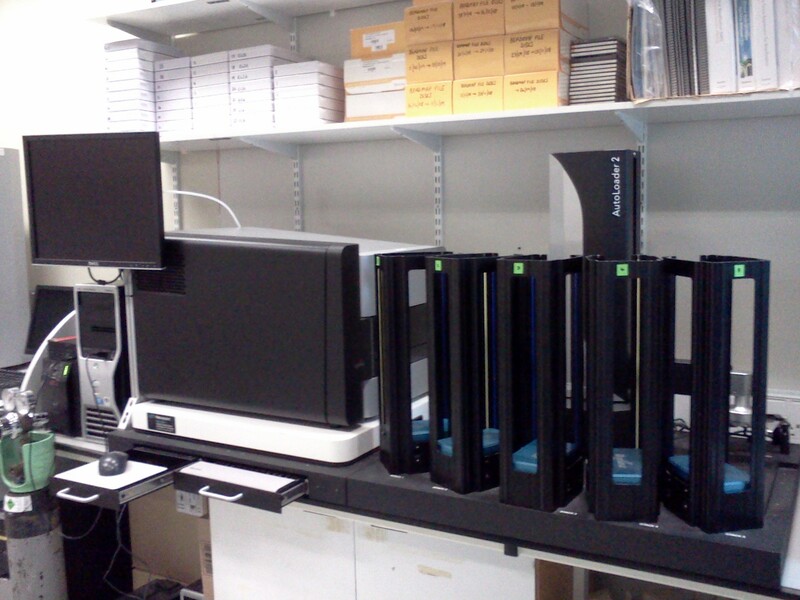 iScan Plus scanner with autoloader and associated liquid handling robot for high throughput processing of all Illumina Bead Arrays. 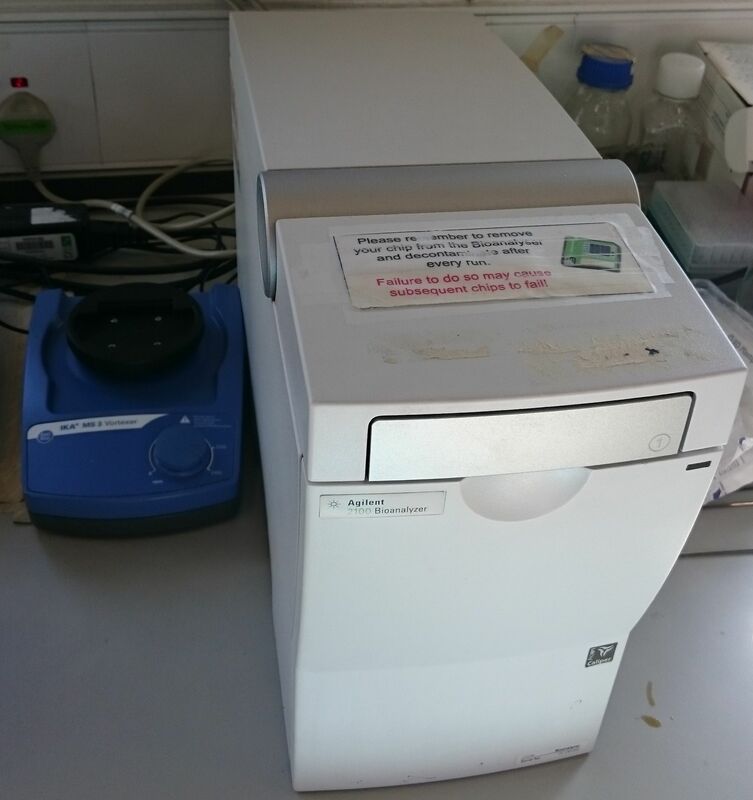 A low throughput benchtop Next Generation Sequencer using Illumina Sequencing by Synthesis (SBS) technology. 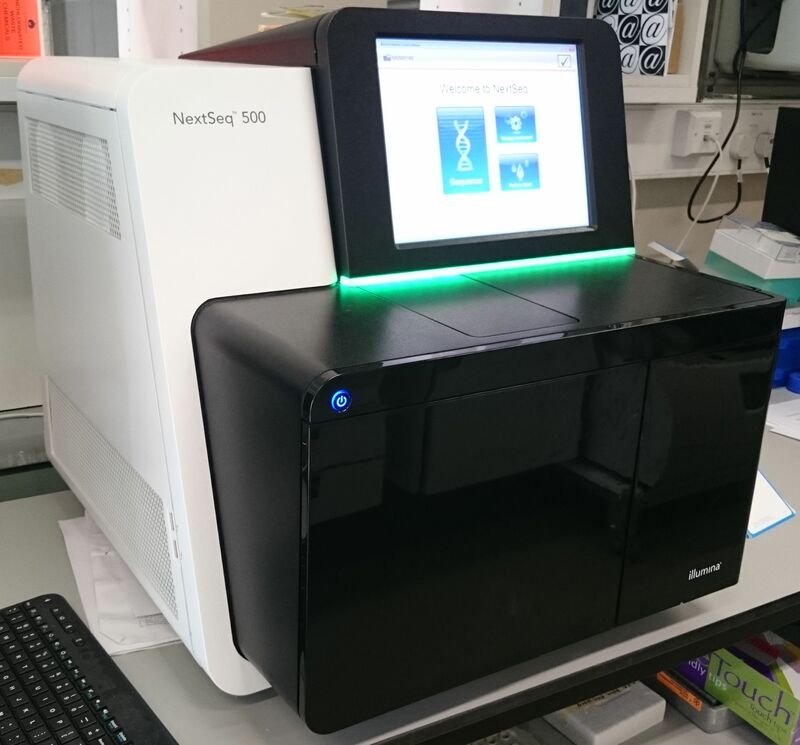 A high throughput benchtop Next Generation Sequencer using Illumina's Sequencing by Synthesis (SBS) technology.